Guidebook to walks and multi-day treks in the Sierra Nevada mountain range in Spain's Andalucia. The 38 routes include the highest point of continental Spain, Mulhacén, and take in villages including Trevélez, Lanjarón and Capileira. Includes main ridge traverses, high mountain scrambles and a Spanish Three Peaks challenge. Graded routes of varying difficulty, from easy half-day jaunts and day-trips to tough multi-day treks. 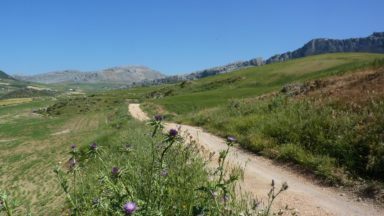 High-level routes but also superb lower-level alternatives, including eight walks in the Cumbres Verdes and Dílar Valley hills SE of Granada. Five high mountain scrambles for the more adventurous (graded 2 to 3S). This guidebook presents 33 graded walks and 5 high mountain scrambles in the striking Sierra Nevada, the highest mountain range in mainland Spain and in western Europe outside the Alps. Easily accessible from Granada and Málaga, it is a world of soaring, snow-clad peaks and deep valleys, far removed from the crowded beaches of the Costa del Sol just two hours away. 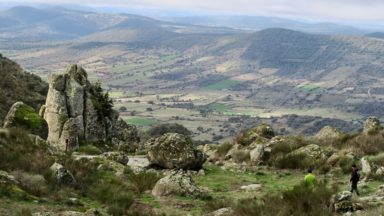 The routes are spread across the national park, with attractive towns and villages such as Trevélez, Lanjarón, Hoya de la Mora and Cumbres Verdes serving as potential bases for a walking holiday. The walks have been carefully chosen to showcase the Sierra Nevada's dramatic scenery, taking in barren rocky peaks, lush green valleys, arid badlands and tranquil lakes. 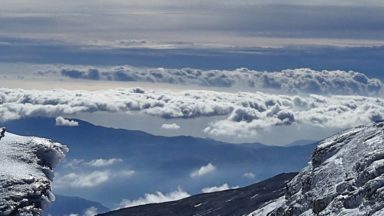 From more leisurely outings in the Cumbres Verde area to ascents of mainland Spain's highest summit, Mulhacén, there are routes to suit a range of abilities, although most require a reasonable degree of fitness, navigational skill and experience of high mountain terrain. Whilst some are day or half-day walks, others take advantage of the region's network of mountain shelters or offer an opportunity to wild camp. Also included are three longer traverses: 'Los Tres Picos' (the Spanish Three Peaks – Veleta, Mulhacén and Alcazaba), 'Los Tres Miles' Integral (a multi-day trek covering all the major 3000m peaks in the range) and an overview of the 302km Sulayr GR240. The walks can be enjoyed most of the year, however conditions may prove too hot at the peak of summer and extra care and equipment will be required in snow or ice: the descriptions assume summer conditions, but include additional notes for winter walking. The guide also includes advice on transport, bases and safety, a tick-list of the 3000m peaks and a Spanish-English glossary. 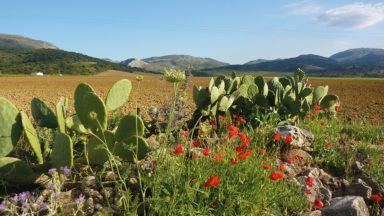 Information on plants, wildlife and local points of interest will further enhance your visit and the glorious colour photos provide a taste of what the region has to offer. 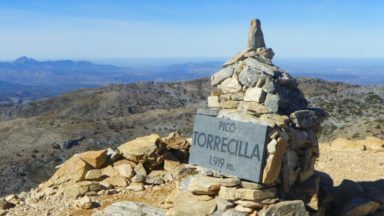 For those who like their mountains rough and rugged, Walking and Trekking in the Sierra Nevada is a perfect companion to escaping the crowds and discovering a different side to Andalucía. I bought this guidebook to plan a winter traverse of the 'Los Tres Miles' integral traverse, not sure if I would find enough info... but this guidebook is just packed with practical info and tips and tricks for any season you plan on exploring the range! The book as well as the author have been an awesome help to us! 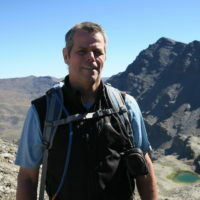 ​Richard Hartley started walking in the UK hills in the mid-70s. In the 80’s and 90’s he spent many seasons walking and mountaineering in the Alps. Since then he has led six expeditions to the Patagonian Icecap and joined a Berghaus sponsored expedition in 2013 to ski volcanoes in Kamchatka.